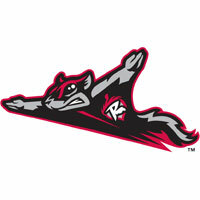 The Richmond Flying Squirrels turned a one-run deficit in the 11th inning into a thrilling 4-3 win over Altoona (71-65) on Thursday night at The Diamond. After allowing a go-ahead run in the top of the 11th, the Squirrels (61-75) plated two in the home half, including the game-winner on an errant throw from Curve third baseman Wyatt Mathisen. Richmond won the four game set, 3-1, and the overall season series against Altoona 9-7. The Squirrels begin the final series of the season on Friday with a Free Shirt Friday and Happy Hour. Trailing 3-2 in the 11th, Aramis Garcia and Jerry Sands opened the game-winning rally with consecutive singles off of reliever Sean Keselica. After Myles Schroder executed a sacrifice bunt, Hunter Cole lifted a game-tying sacrifice fly to cap a ten-pitch at bat. K.C. Hobson then squirted a ground ball with plenty of English on it to third base. Mathisen gathered and threw low over to first, allowing Sands to score the winning run. Tyler Cyr (5-2) earned the win in relief for Richmond, despite allowing the go-ahead run in the top of the 11th. Justin Maffei led off the inning with an infield base hit and moved to third on a single to right field. With runners on the corners, Anderson Feliz hit a ball that nearly wobbled over Cyr’s head. Cyr stumbled back to make the play, but threw to first to get the guaranteed out, scoring Maffei for the 3-2 lead. The Squirrels managed to force extra innings by scoring two in the bottom of the seventh inning. Altoona’s starting pitcher Brandon Waddell kept Richmond off-balanced through the first six innings prior to running into trouble in the seventh. With one gone, Hunter Cole lined a triple off the top of the right field wall. Hobson then snapped the shutout with a towering two-run homer deep over the right field wall, tying the game. Altoona held the lead for most of the contest. Squirrels starting pitcher Dan Slania scuffled with his command in the first inning. The righty fell behind in early counts, leading to a pair of first inning Altoona runs. With two outs, Jordan George worked a walk and Jerrick Suiter singled. Catcher Jin-De Jhang then guided a double that narrowly dropped fair on the first base chalk and rolled into the right field corner. Jhang’s double plated both runners for a 2-0 Curve lead. Slania tossed 23 pitches in the inning before setting down Elvis Escobar for the final out. Richmond could not muster much early on against former UVA standout Brandon Waddell. The lefty Waddell retired the side on 14 pitches in the first and worked around a base hit and a walk in the second. Waddell retired the side in order on 12 pitches and once again retired Richmond in order. Slania smoothed things out after the first, but dealt with a rising pitch count. The righty worked stranded a pair of runners in the fourth and another two in the fifth. With 94 pitches thrown after five innings, the Squirrels sent Slania back out to start the sixth. Elvis Escobar walked on four pitches to start the inning, however Slania nabbed him at second on a sacrifice bunt attempt. Slania was replaced with two outs in the inning by Seth Rosin. Rosin allowed a base hit to Cole Tucker and a walk to Anderson Feliz before striking out Jordan George to end the sixth and strand the bases loaded. Waddell worked quickly and comfortably in his return to the Commonwealth. The lefty allowed just two runs on six hits over seven innings in a no-decision. Waddell walked one and struck out three before handing the game over to the Altoona bullpen. Slania lasted 5.2 innings in his final start of the year. He allowed eight hits and two runs while walking three and striking out three. Rosin followed up with 1.1 scoreless innings of relief. and Jordan Johnson (1.0IP, H, 0R) and Cody Hall (2.0IP, 0H,0R, 2K) held the game in check through the latter innings.